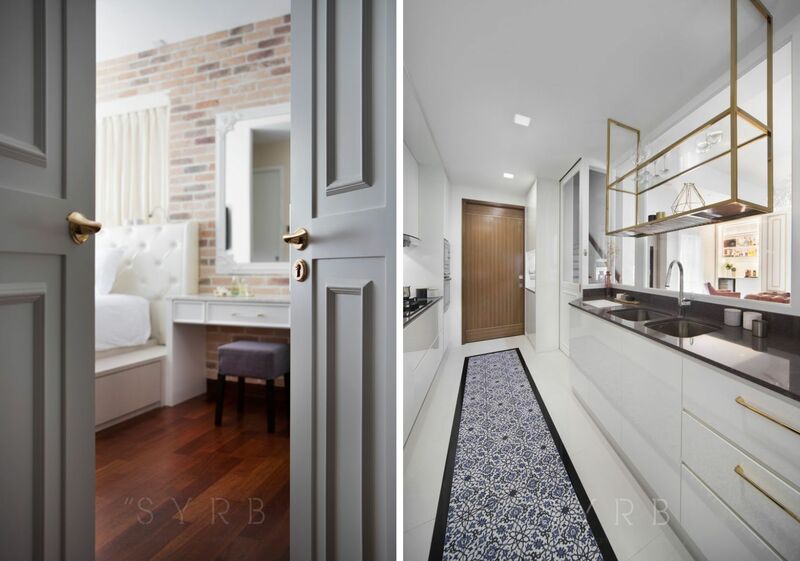 White washes every space, keeping the space streamlined and inviting, yet leaving hints of glamour. 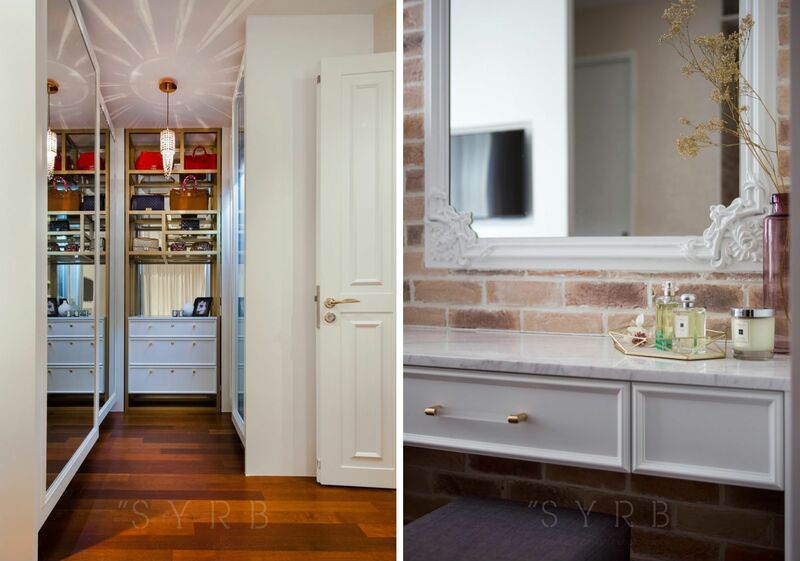 Marble top of the dressing table underlines the client’s stylishness and elegance. 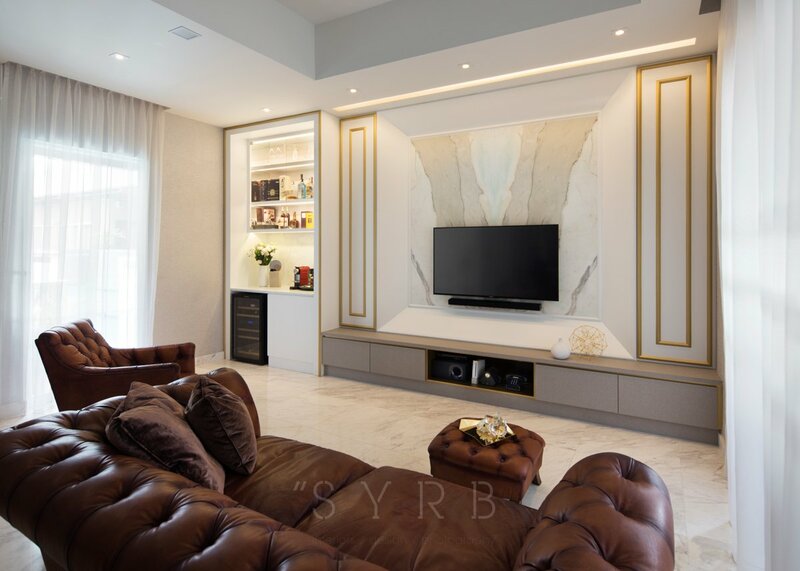 The brown leather sofa in the living room gives an edgy feel to the otherwise polished appearance of the marble wall. 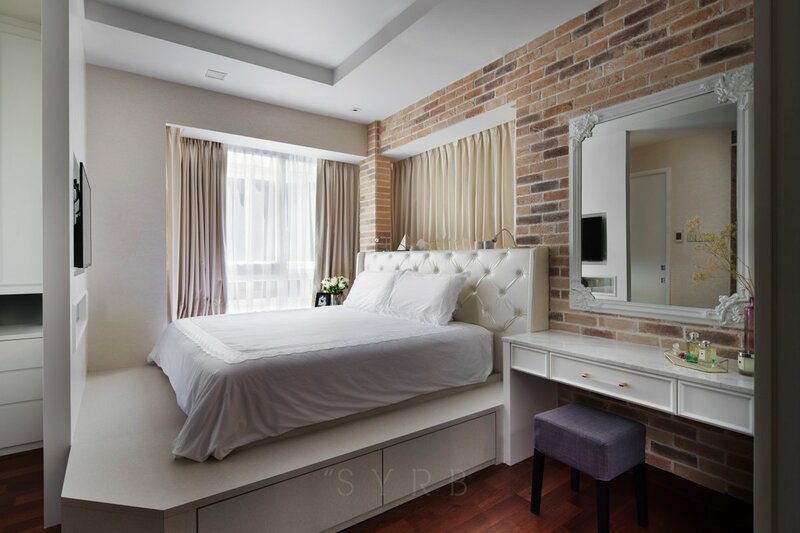 Large mirrors or windows installed in every room delineate the spaciousness of the rooms.